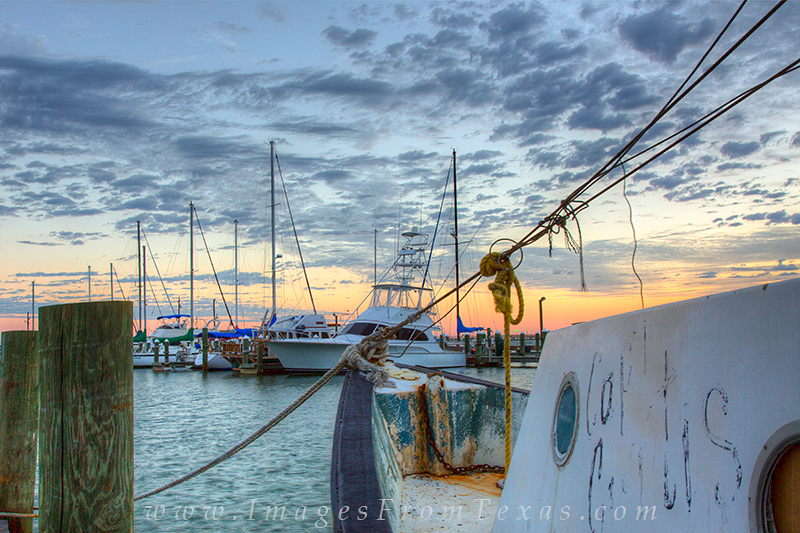 In this harbor between Rockport and Fulton, Texas, both new and old boats come together to create a wonderful scene. Gulls soared overhead and the sun lit up the morning skies. Can't wait to get back there! Photo © copyright by Rob Greebon.